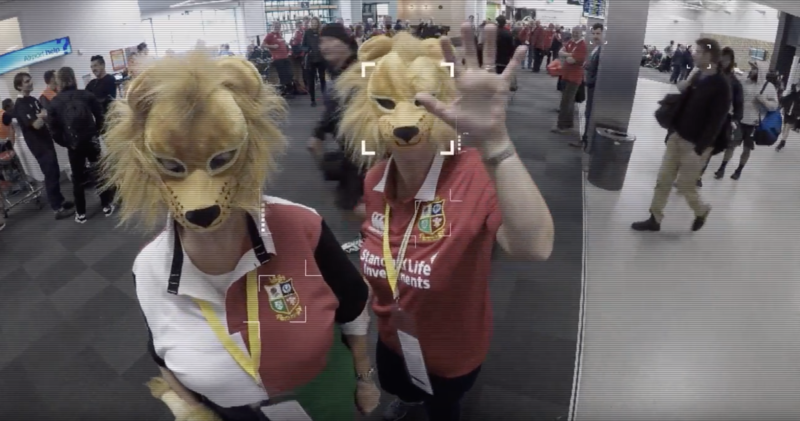 To say I’m fan-girling over this video is an understatement it masters the three disciplines (PR, advertising and marketing) as well as being a big creative stunt and combining some fun nerdy technology, audience research and rugby. No wonder it made Cannes Lions! 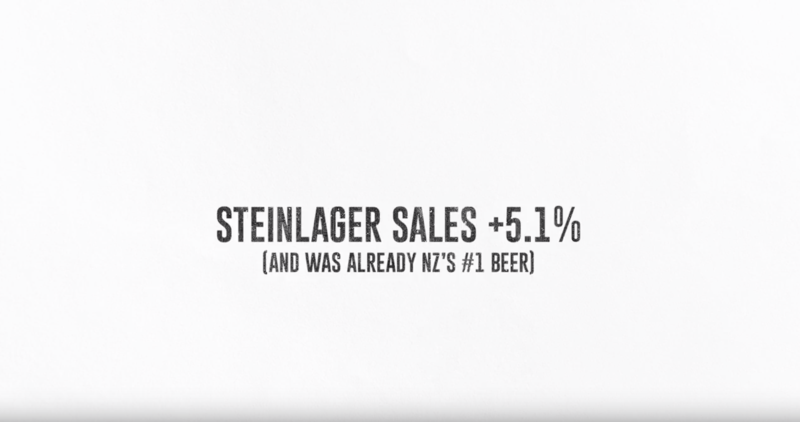 In short Steinlager and Guinness capitalised on the Lions tour only coming to New Zealand every 12 years, and the dwell times at Auckland airport as that’s where most people spend their time when travelling to and from the tournament. Steinlager (and I’m sure Guinness contributed) bought all the advertising at the airport during the tournament and used image recognition software to encourage supporters to change each screen to their preferred team colours by standing in front with their kit to fight for their territory. They also used mobile technology so fans could over-ride signs across the terminals instantly. This is an excellent example of how to drive topical, situational engagement and the results speak for themselves. 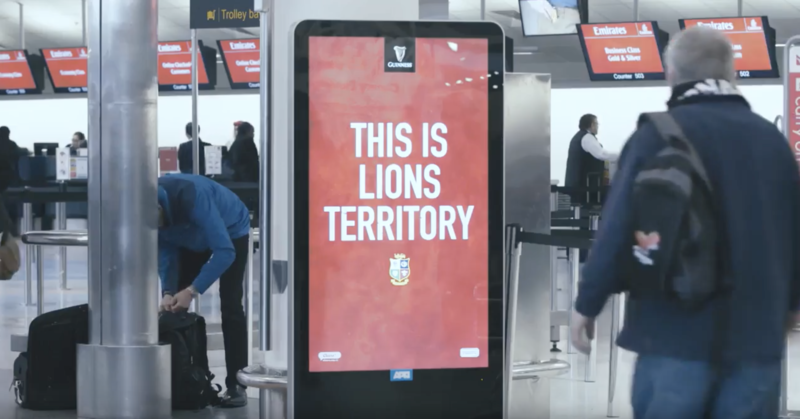 Over the six week tour 2.5 million people passed through the airport and 96,000 passengers fought for territory by engaging with the advertising to ensure their messages of support were displayed while enroute to matches around New Zealand. 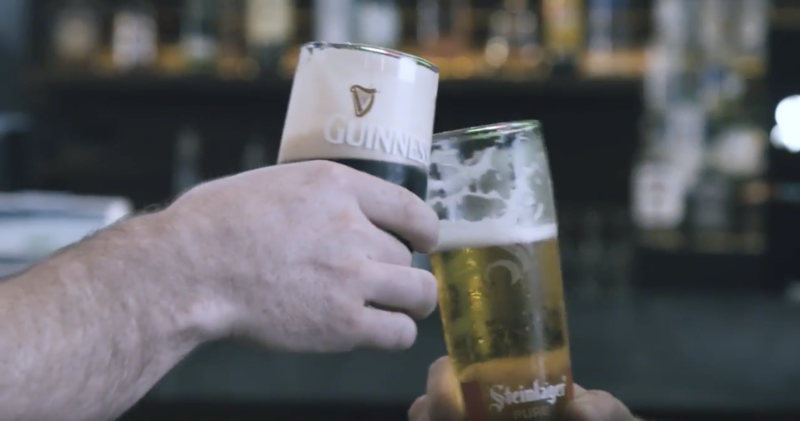 From the cheeky Irish narrative to the brilliant piece of storytelling this video captures the essence of the stunt’s prowess and a different approach to traditional sponsorship and advertising endeavours. In a world where return on engagement (ROE) is starting to be valued as much as return on investment (ROI) there needs to be a focus on both which requires advertising, marketing and PR to work together to deliver results. To stand out from all the noise you need to be creative in capturing and engaging your key/target audience. With only 80 minutes being spent in the stadium it’s insanely difficult to cut through the noise and be heard above competitors and other sponsors. 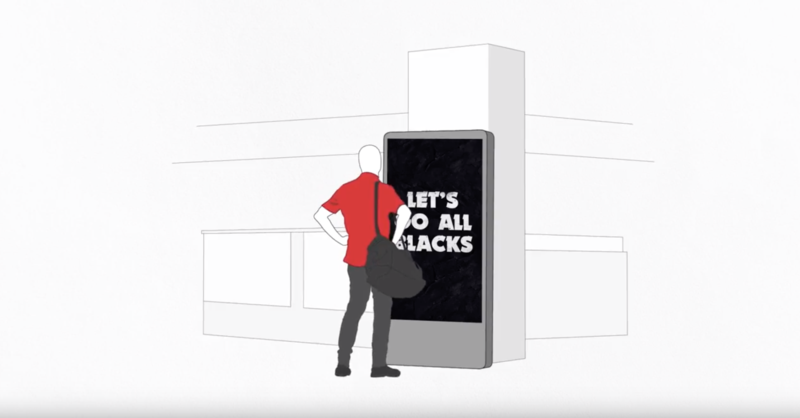 By re-locating the advertising to a location with a higher dwell time, especially an airport when often people have a lot of spare time on their hands, and making the advert an interactive experience the campaign ensured its audience had time and motivation to engage with its content. Engagement is key in driving interaction with your carefully crafted content. A combination of creative disciplines can help achieve engagement and create a highly efficient interactive campaign. While most brands will try and dodge or out manoeuvre their competitors these two fight out their obvious rivalry head to head. And, both benefit from big sales increases during the six weeks of the tour’s campaign. Such great creativity and inspiration from two brands working together and ‘fighting it out’ in public – it’s certainly the opposite of what most people would think they would do. Nothing beats being topical. Using an event, especially an ongoing sporting tournament, gives a campaign relevance and an immediacy that can be hard to replicate. Aligning a brand with something current allows it to be viewed as fresh or ‘of the moment’ and a timeliness that can help it stand out or cut through the noise of other campaigns and the market. Sponsorship doesn’t have to be limiting or boring. Often seen as the ignored or poor relation sponsorship is one of those things that’s often entered in to be ‘seen to be done’ and that it doesn’t really get you the most ‘bang for your buck’, it has had a bad reputation lately. 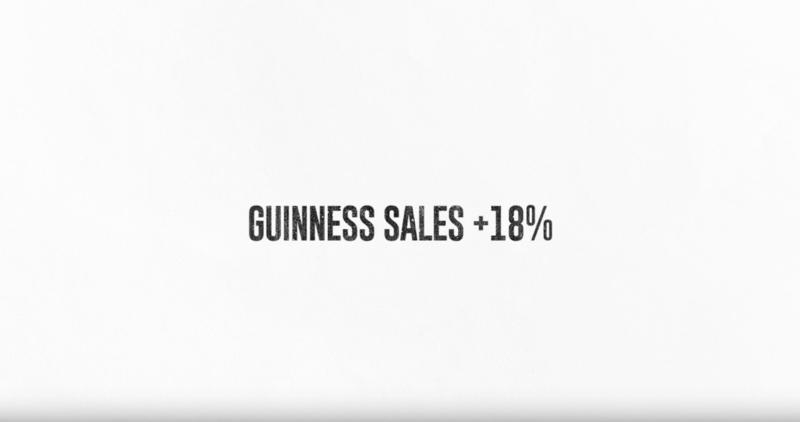 However, if you harness it in a creative way it can be highly lucrative as this example from Steinlager and Guinness shows. You also only need to look at Fiji Water’s latest PR stunt, the photo bombing at The Golden Globes, to see how a bit of creative thinking can make sponsorship an extremely effective way of generating PR for your brand. 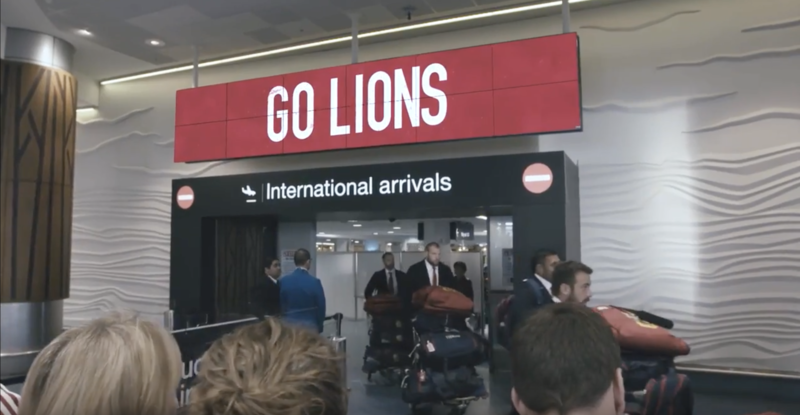 The competition and rivalry between the All Blacks and British & Irish Lions is well known and synonymous with The Lions tour. This campaign not only perpetuates one of the most fun parts of the tournament but celebrates the historic nature of the teams famously contentious relationship. If a brand can harness an existing relationship built on real history it can align with the credible feelings independently made by its audience and it will benefit from the association and the trust built from that association. If you have fun with your brand, your audience will be attracted to it and have fun with it! This is a really fun campaign, and you can almost guarantee that each and every one of the people that interacted with the campaign will have talked about it to friends and family. There is strength in word of mouth and this campaign is more than just a clever location, idea and execution. It’s likeable, it’s conversation worthy and its fun! What do you think about this campaign? I think it’s up there with one of my favourites ever!